Sharon and Brandon Webb are the mother and son from Kildare, Ireland, who took over all of the judges and many present in the hall at the audition of the Ireland's Got Talent Show. There they presented themselves as a duo with a singing talent, and the video recording of their performance is a true balm for the soul! 19-year-old Brandon performs the work of a barman and a DJ, but in September he experienced a real nightmare. He went to a party with his friends, then landed in a coma. Brandon does not remember the night: "I was out with friends. I took something I shouldn't have. I made a mistake. It nearly cost me my life." These were the moments when he realized that he has to make even better bond with his 41-year-old mother Sharon. That was the time he decided to sing along with her! They signed up for the Ireland's Got Talent show, and they took over everyone with their touching performance of "You Are The Reason" song, which is originally performed by singer Calum Scott. 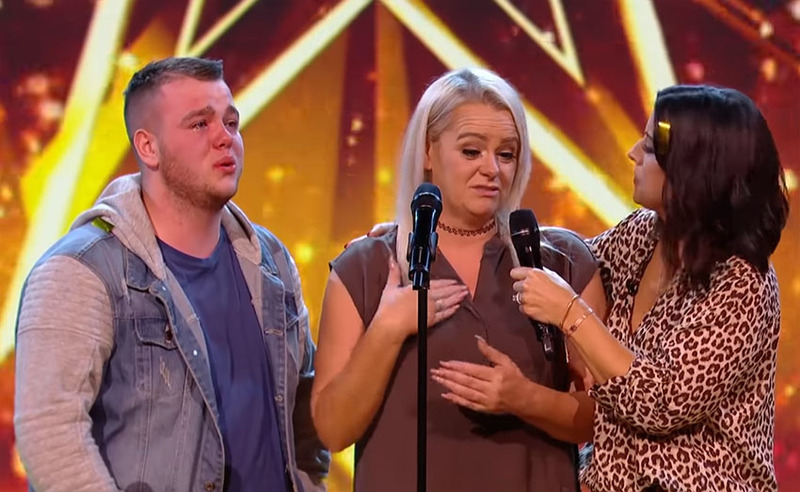 For their performance, Sharon and Brandon also received the Golden Buzzer from the host Lucy Kennedy, which takes them straight into the semi-finals of the show. We say that more than deserved! Listen to the touching performance of mother and son, where you will surely enjoy what you see and hear!